It ain’t no Poincaré Conjecture, but figuring out if the movie Inception’s dream timelines make sense is as close as I’m coming to solving anything. 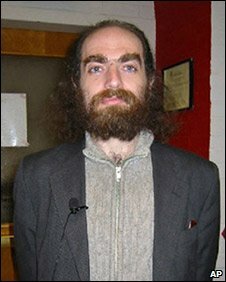 So the only thing I likely have in common with the mathematician from St Petersburg who solved the hardest math problem of the 20th century — Grigori Perelman [pictured] was so upset that it took six years for lessor mortals to figure out what he had done that he refused to show up to accept a prestigious medal and a million dollars he was awarded — is that we are both divorced. I actually don’t know for a fact that he is divorced, but given that he is described as a recluse who lives with his Mom, combined with the nearby photo, all point to a certain level of detachment. Factor in the unclaimed money and I’m betting that somewhere in Russia there is a really angry divorce attorney and an ex-wife brandishing a newspaper clipping telling everyone, “see.” But to be fair, I am still a Match.com profile away from confirmation on this one. Being a fan of Christoper Nolan when Inception was released in 2010 was like being a Scorsese fan when Goodfellas was released in 1990. Perfectly positioned to appreciate a film maker at his best. After I watched the complicated movie and heard that Nolan had worked on the script for about ten years, I had faith that the movie’s logic would hold up. As any serious movie fan — aka Fellow Celluloid Freaks [FCF] — will tell you, we don’t mind fantasy as long it contains a semblance of logic. Which is why laws of physics for Super Mario Brothers and cartoons in general are both proper and good. 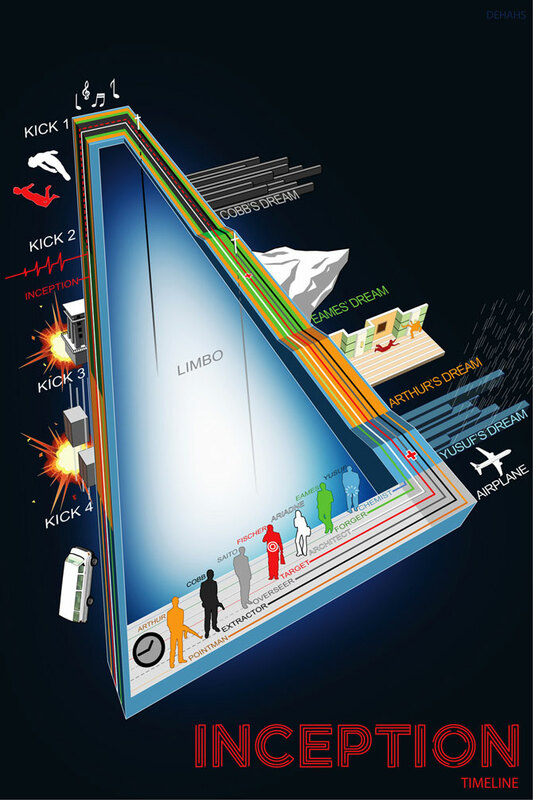 However, as Inception wound its way through all the distribution stages — from “Just-in” to always on to DVR’d to Godfather Pausality [stage at which channel surfing comes to an abrupt and unappealable halt until scene completion] — blasphemous grumblings began to appear about the inconsistency of the timelines associated with dream levels. When I heard them, I wasn’t angry; I know movie fans, I know we are head-strong, talking loud, saying stupid things. So when the Nolan doubters turned up, I let it go. And I said to myself, this is the path Grigori and I have chosen [silent computation]; so I didn’t ask who gave the grumbles, because it had nothing to do with eventually spreadsheeting their asses straight to movie purgatory [now showing, Paul Blart: Mall Cop]. Dreams are a way of invading other people’s thoughts. Someone who would like to extract information [the Dreamer] from another person’s [the Subject] subconscious needs to do so when both are in a dream state. The Dreamer uses the Subject’s subconscious to populate the dream which the Dreamer [can also be the Architect] has created and can control to obtain the information. A chemical called Somnacin is used to immediately induce the sleep level of dreaming required to access subconscious thoughts. The chemical is administered using a Portable Automated Somnacin Intravenous [PASIV] Device. The MV-235A. It’s remarkably similar to a Samsonite suitcase. When you dream, your mind functions more quickly, so time seems to pass more slowly. The brain functions at a rate 12x faster than normal. The rate of 12 is established when Cobb and Arthur indicate that one hour in a dream is equivalent to 5 minutes in the real world. When people are killed in a dream, they awake in real life. Extractors play the role of lawyers. They spend their time hoping to profit indirectly from the accomplishments or misdeeds of others. However, in order for Extractors to accomplish Inception — the planting of an idea in the subconscious, not just accessing existing thoughts — Cobb’s team would have had to gone down to multiple dream levels. Dreams within dreams. The rules of dream time are compounded at every level down of dreaming. So time at dream level 2 is accelerated at 12 x 12. Alas, if someone dies in a multilevel dream, they drop into Limbo instead of awaking in real life. A kick replaces death as the way to return to real life from multilevel dreams. A kick is a feeling of falling which snaps you awake. As in tipping over backwards into a tub of water, plunging vans and exploding elevators. These, naturally, must occur in sequence. Multiple dream levels require a stronger dose of Somnacin. Yusuf [the Chemist] has created an advanced Somnacin derivative which allows for the dreamers at each level to remain dormant until the kicks kick in. Under Yusuf’s advanced Somnacin derivative, the accelerated brain function speeds up to “about 20x normal.” We will soon learn why “about” is important. Would it have killed them to have been more precise about the rate of the advanced brain function? Here’s the problem. The numbers didn’t seem to add up [or down]. A cursory search on the web turned up these unsuccessful efforts at reconciling the timelines provided in the movie, see here and here. But overlooked in all the computations were the fact that Nolan’s characters were conveniently vague about the calculations. Yusuf indicated that the accelerated brain function was “about 20x.” Cobb’s timeline was “basically one week down….” With faith in Nolan and praying that higher math was unnecessary to justify that faith, I turned to Excel to help those afflicted with disbelief. The answer is that the numbers work at an accelerated brain function of 22 times normal. Nolan is now free to proceed with the Dark Knight sequel. See the spreadsheet below. Would it have killed Cobb to just say 22? This entry was posted in 2TG Favorites, Entertainment and tagged Christoper Nolan, Godfather Saga, Goodfellas, Grigori Perelman, Inception, Martin Scorsese, Poincaré Conjecture. Bookmark the permalink. You ok brother? Really, you ok? After reading your take on Inception, I think I will tape it. Keep your dreams simple. Dolly Parton on her prime….etc, etc, Leo DeCaprio is a homo (or close to it) Come on man “Keep it simple” – Your ‘cejas’ might grow like that math professor. Is it not worth it brother. YES!! Thank you for doing this! I was on the verge of losing all faith in Nolan after taking a closer look at the numbers. My inferior math skills were making me scoff… but a last minute google sanity check has me back on board with this movie! Would have been nice if you provided access to the spreadsheet so we could do some of our own math to calculate for longer periods of time or deeper levels for those who are really curious. There are still some math problems I have with this that I’d like to work out and would be easiest using the sheet to figure it out. I can try making my own, but it will take me longer and I can’t be 100% sure of it’s absolute accuracy unless I were working with the values here. I did however do research on everyone’s posts, like the 2 you linked and found they were also wrong and I did notice how he said “about” when I was reading along. I noticed this “about 20 times” thing before reading this page which is what originally lead me to believe that the math in most of these places was inaccurate. I knew they were being vague for a reason, I had just hoped someone managed to get something as close to accurate as possible like you have. Now I can start working on the last bit of math problems related to this accelerated dream time.